A magical evening of singing, entertainment and display of Christmas Spirit! Now celebrating its 81st year, Carols by Candlelight is a Christmas eve tradition for thousands of families across Australia. The event is held in the lovely outdoor arena of the Sidney Myer Music Bowl in Melbourne on Christmas Eve and is televised across Australia. 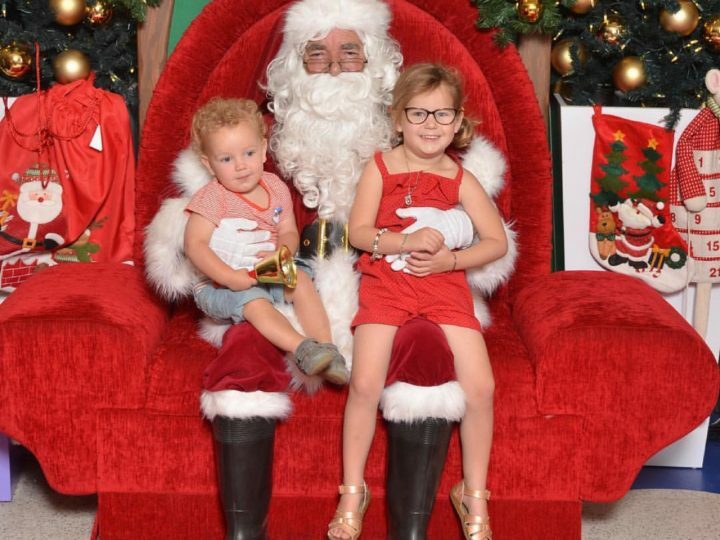 Kids of all ages will enjoy the Christmas carols and performances from your favourite artists including Marina Prior, Dami Im and Anthony Callea…and as always a visit from Santa on his journey from the North Pole is a much anticipated part of the evening. In addition to this wonderful concert, families attending the event will be treated to pre-show activities at the Priceline Pharmacy Christmas Festival. 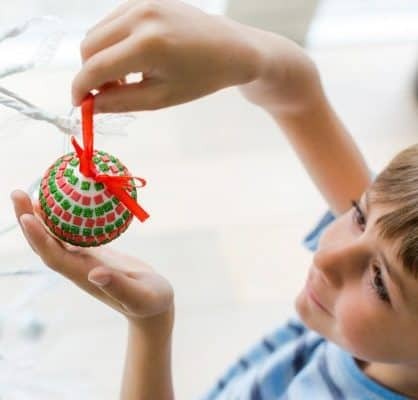 Activities include Christmas arts and crafts, kids sporting fun, face painting and some pampering activities for mums! Ticket for the Carols by Candlelight are available via Ticketmaster and all proceeds of ticket sales support services for children and families of children who are blind or have low vision. Tip: Bring a picnic rug, cushions for kids to sit on, Santa hat and plenty of food and drinks. Who doesn’t love gingerbread at Christmas time – in fact at anytime of the year! This gorgeous village is made entirely of gingerbread and has been crafted by Epicure’s award-winning Executive Pastry Chef Deniz Karaca and his team. 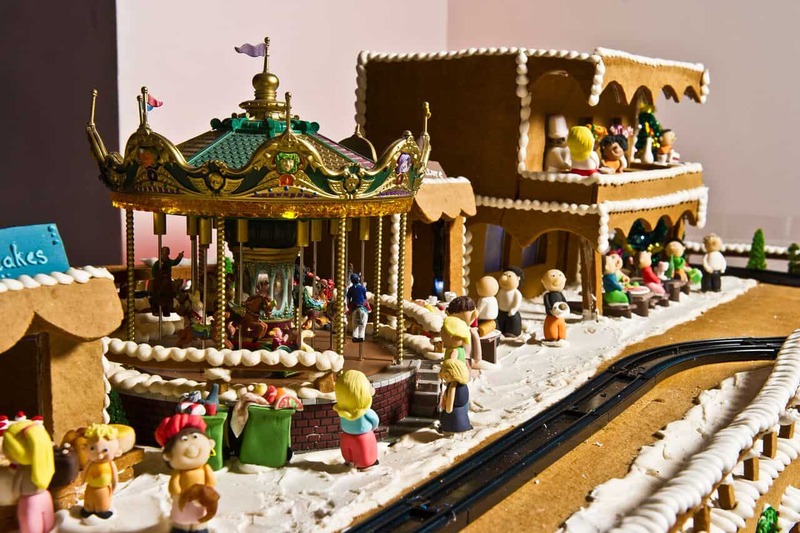 Taking months of preparation, the gingerbread village features all the landmarks of Melbourne including much loved icons such as Luna Park, Melbourne Zoo and the MCG. The beautifully crafted creation also includes around 880 miniature Christmas trees and over 900 characters. Did I mention that there is over 560 kilograms of gingerbread, 420 kilograms of royal icing and 185 kilograms of marzipan! All proceeds from donations from the Gingerbread Village go towards the Royal Children’s Hospital Foundation to help children battling serious illnesses. See below for Australia’s #1 Chocolatier, Deniz Karaca’s prized gingerbread recipe! Tip: Don’t go on an empty stomach! 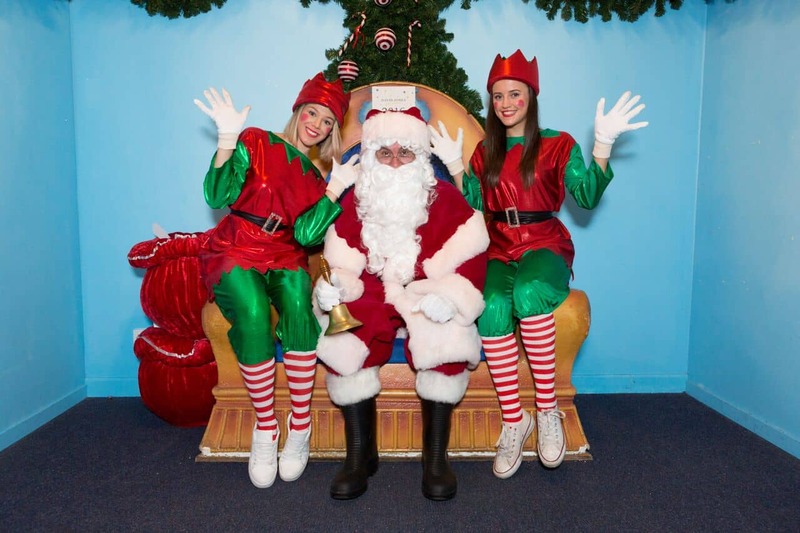 My favourite part about this is no more hours of queueing for photos – with the ability to now pre-book your exclusive photo time with Santa! 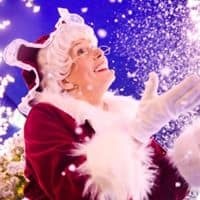 You can either book online or alternatively leave you contact details with the Elves in store and they will send you a text when Santa is ready to see you. The Magic Cave at Bourke Street Mall also has our favourite David – The Talking Tree – where children can ask questions and the tree will answer back. 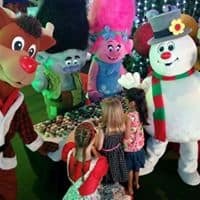 From 12 December there will be roaming Santa and Fairies around the store for selfies and free face painting in the Toy departments over weekends in December. Time: Sat – Wed 9am-7pm Thurs & Fri 9am-9pm Hours vary between stores. Tip: Arrive 10 minutes before your appointment time to choose your photo package and say hello to the Christmas Eves. Get in early for the best times by booking online. Get ready to walk into a Christmas Winter Wonderland! 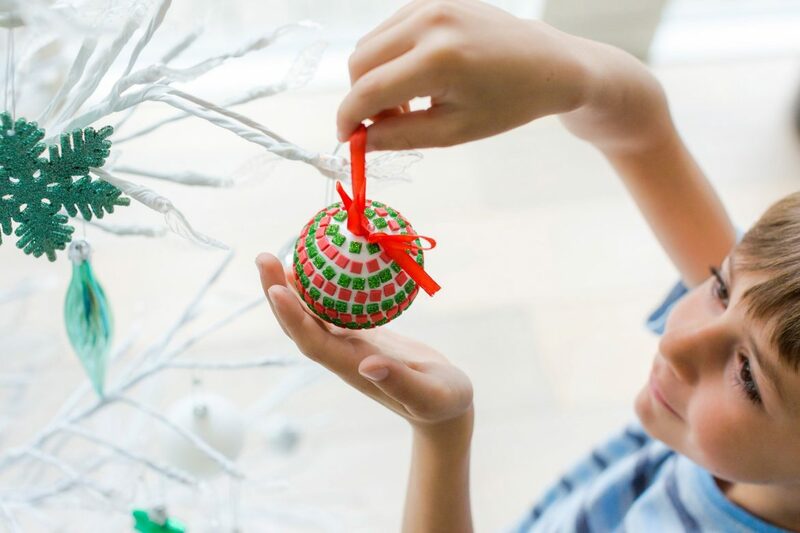 The event is every child’s Christmas dream come true – with free-falling snow and Christmas activities galore! 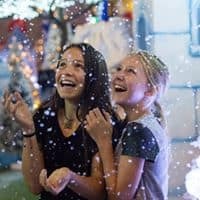 Kids can enjoy activities including meeting Mrs Claus and writing letters to Santa, gingerbread decorating, a Christmas craft station including ornament decorating and Christmas sand art and 8 different rides, including our favourite the giant sack super slide. The event also includes a 30 minute Christmas spectacular circus show featuring thrilling and breathtaking circus acts that will entertain everyone in the family. A much-loved and treasured Melbourne tradition is the annual unveiling of the Myer Christmas Windows. This is the 63rd year of the beautifully-crafted little scenes that come to life in animated, decorated windows together with a Christmas story and music for each window. 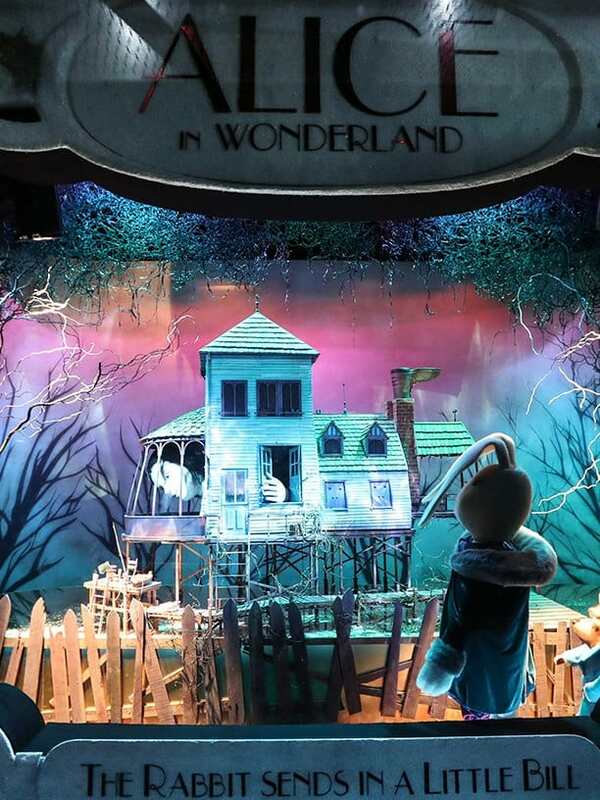 This year’s theme celebrates the 150th Anniversary of Lewis Carroll’s story of Alice in Wonderland and will have everyone falling down the rabbit hole into a magical Wonderland! Tip: Get there either first thing in the morning or later in the evening to avoid long queues. Midweek visits pre-school holiday period are also less busy. Use an electric beater to beat the butter and sugar in a bowl until pale and creamy. Add the golden syrup and egg yolk and beat until combined. Stir in the flour, ginger, mixed spice and bicarbonate of soda. Turn onto a lightly floured surface and knead until smooth. Press dough into a disc. Cover with plastic wrap and place in the fridge for 30 minutes to rest Place the dough between 2 sheets of baking paper and roll out until about 4mm thick. Use a cutter to cut out shapes. Place on trays about 3cm apart. Repeat with any excess dough. Garnish as required with coloured royal icing and lollies!